A sedentary lifestyle will soon turn your children into unhealthy couch potatoes, no matter how healthy the food you give them may be. It happens because they need to burn the calories they get from food. Simple science: if calories don’t burn, they will turn into fat. That’s why staying active is as crucial as a healthy diet; you could say the two go hand in hand. Children can be active by involving themselves in exercises such as bike riding, walking, and playing sports. Some of the positives kids enjoy by staying active include . . .
Kids’ schedules are busy, and they have much to do—from school and homework, to extracurricular activities. That makes finding 60 minutes a day for exercise difficult. To make exercising easier, make sure your child utilizes that “60 minutes” of physical activity over the entire day. For example, 10 minutes of walking in the morning, 20 minutes of riding their bike bike to and from school, and 30 minutes of playing any sport. Keeping to that kind of schedule will ensure your child’s involvement in physical activities without interrupting their normal schedules. The same goes for adults with busy schedules who wish to work out. Let your child see you engaging in a variety of workouts and physical activities. If you’re jogging, your child may want to try it. Children learn a lot from their parents. Your active life will inspire them to follow suit. It will be even better if you show interest in your kids’ physical activities. There are also many activities you and your children can enjoy together. Go for morning walks together and tell them why doing so is important for good health. Besides inspiring your children to lead healthy lives, you get to spend quality time with them. Choose to walk or bike when tending to everyday household errands, rather than driving the car all the time. Check how much time your children are spending in sedentary activities. Make sure your kids spend no more than two hours daily on TV and video games. Minimize their inactive time as much as possible. If your children are picky about how they spend their time, don’t try to force them. Instead, convince them by telling them the positives of exercises. Encourage your kids to play outside. According to one study, children who spend more time outdoors involved in physical activity are less likely to become obese or overweight. Researchers believe that children who spend time in green spaces are five times more active than those with no exposure to green space. Play Frisbee or any other game with your children at a park, or have them ride their bikes on a nearby trail. 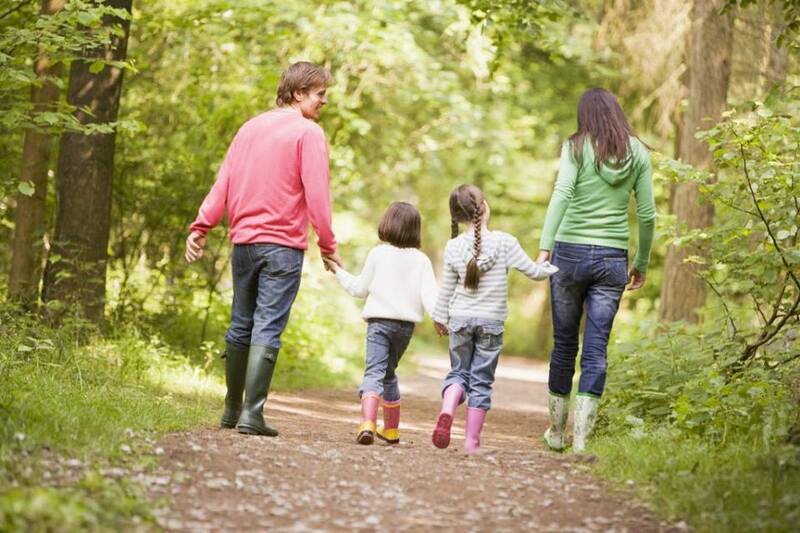 Whatever game or activity your children prefer, spending time outdoors will make them more active. Encourage your children to take part in sports at school. That is one of the best ways to make your children more active. It not only makes them physically strong, but also provides mental and psychological benefits. Sports will make them stronger and keep them active enough to combat childhood obesity. There are many ways to encourage your children to stay active. Don’t be restrictive by trying to force them to exercise or severely limiting their screen time. All you need to do is stay positive and supportive of them, helping them realize the benefits and joy of playing outside and having fun. Your dedication to improving your children’s levels of physical activity will contribute immensely to their health and well-being in the long run.